Watch a video about Managing Partner Jim Bannister’s historic trial and remarkable results. Serving Greenville, S.C. Since 1976, Bannister, Wyatt & Stalvey is a Seasoned Law Firm Ready to Fight for You. Founded in 1976, the team of award-winning lawyers at Bannister, Wyatt & Stalvey, LLC. has provided skilled, professional, and tailored legal advice to clients in the areas of criminal law, family law, real estate law, and business and civil litigation. Our attorneys have the experience and knowledge to solve complex legal issues, and are invested in the success of each client and committed to excellence in the legal profession. We hold ourselves to the highest ethical standard – that of unquestionable integrity. "When it's time to go to trial, Bannister, Wyatt, and Stalvey is the only firm you want. They know exactly what they are doing and they treat you like family." 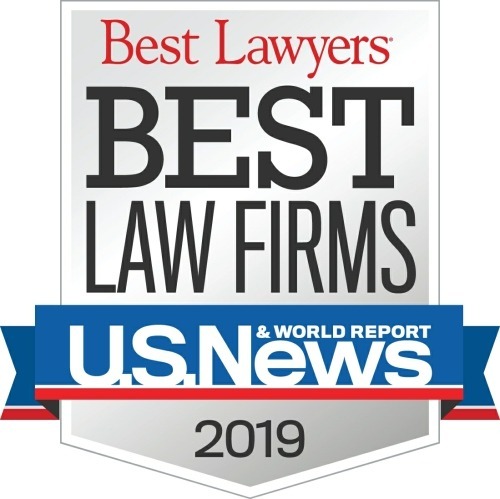 "Bannister, Wyatt, and Stalvey is the best law firm in Greenville! They handled my case with professionalism, care, and respect. Legal issues can be daunting and uncertain, but they eased my fears!" but you guys did it, and went above and beyond in the process. I strongly support Bannister, Wyatt and Stalvey. You guys rock!!!!! Thank you from the Gibbs family."